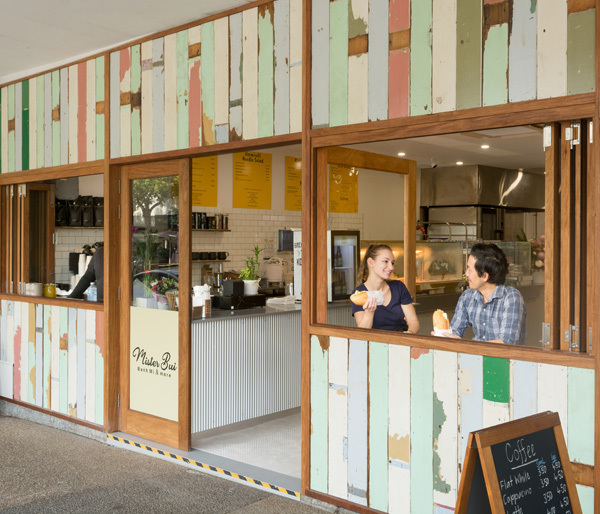 A new Vietnamese café, Mister Bui, has opened in Nundah, with Banh Mi, Pho Noodle Soup, Rice Paper Rolls, Noodle Salads and Rice Bowls on the menu. Owners Toohey Bui and Katrina Smith, both former Nundah State School teachers, are excited to bring Vietnamese street food to Nundah. Toohey arrived in Australia with his family from Vietnam when he was 5 years old. “I had a pretty typical Aussie childhood, but have embraced my Vietnamese culture as I have gotten older,” says Toohey. Toohey and Katrina’s team, which includes two of Toohey’ brothers, serve delicious meals Monday to Friday from 6am to 3.30pm and Saturday 8am to 2pm. “The most popular item is definitely our Crispy Roast Pork Banh Mi. Served on a house-baked baguette, with crispy pork belly straight out of the oven each morning, it’s definitely been rushing out the door,” says Toohey. Mister Bui also serves Toby’s Estate Coffee, traditional Vietnamese Iced Coffee and popular Vietnamese drink, Sugar Cane Juice.